Welcome to Masala Grill Secured Online Order System. Two deep fried crispy crust stuffed with potatoes and peas. Deep fried crispy crust stuffed with minced chicken. Deep fried crispy crust stuffed with chicken tikka. Deep fried lentil donuts served with sambar, coconut and tomato chutney. Rice patties served with sambar, coconut and tomato chutney. Mixed Vegetables cooked in spices and served with a soft bread roll. 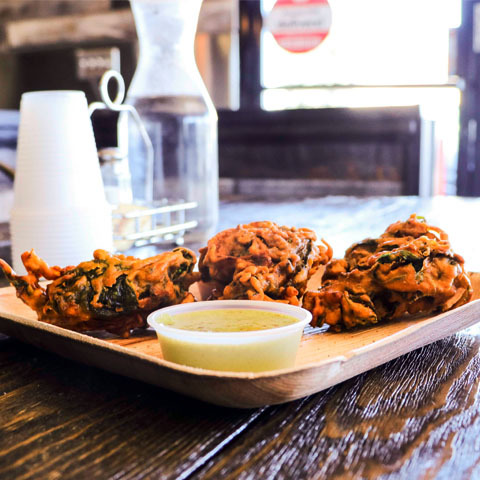 Cauliflower and spinach fritters served with mint or coriander and tamarind chutney. A fried crispy semolina puffs served with spicy water,spicy chutney, potato, onion and chickpeas. A savory snack from puffed rice, tomatoes, onions, spicy and tamarind chutney, cilantro. Crispy fried savory with potatoes, chick peas, tomatoes, cilantro, yogurt, spicy and tamarind chutney. Two deep fried samosas served with chickpea curry, spicy and tamarind chutney. Cottage cheese and mashed potatoes patties with chickpeas, onions, yogurt, sweet and spicy chutney. Lentil savories served in a yogurt and homemade sauce, garnished with cilantro. Paneer tacos served on a gluten free tortilla. Cauliflower tacos served on a gluten free tortilla. Two jackfruit (tropical fruit ) tacos served on a gluten free tortilla with onions, and cilantro (mint sauce). Two chicken keema (ground chicken) tacos served on a gluten free tortilla with onions and cilantro, mint chutney. Chicken tikka tacos served on a gluten free tortilla. Chicken tikka, pepper jack cheese, onions, cilantro, tomatoes served with mint n cilantro chutney. Choice of rice with beans. White rice sauteed with mixed veggies served with raita (yogurt). Flavored rice with jackfruit (tropical fruit) cooked in special blend of spices. Flavored rice with chicken cooked in special blend of spices. Flavored rice with goat meat cooked in special blend of spices. Cottage cheese in tomato butter gravy. Served with lentil soup, coconut chutney, and tomato chutney. Golden grilled crispy crepe made from fermented rice and lentil batter. Golden grilled crispy crepe with mildly spiced mashed potatoes. Golden grilled crispy crepe with spinach and cottage cheese. Plain crispy crepe with spiced chutney spread, tomatoes, onions, cilantro. Golden grilled crispy crepe with pepper jack cheese. Golden grilled crispy crepe with spiced minced chicken, tomatoes, onions, cilantro. 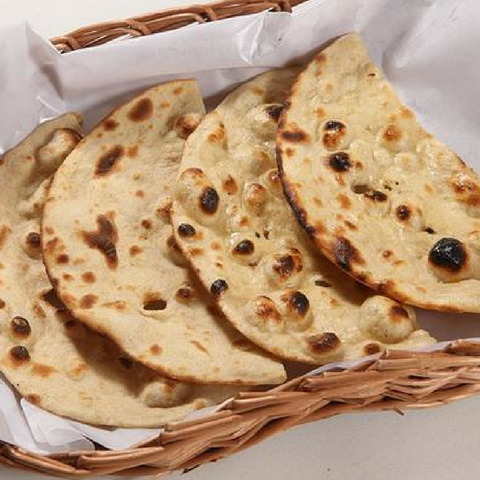 Naan bread baked in tandoor oven. Garlic bread baked in tandoor oven. Chilli garlic bread baked in tandoor oven. Stuffed bread with onions, cilantro in mixture of spices baked in tandoor oven served with raita(yogurt), salad, and pickle. Served with raita (yogurt), salad and pickle. Unleavened dough stuffed with a spice mixture of mashed potatoes, onions, cilantro. Unleavened dough stuffed with a spice mixture of cauliflower served with raita (yogurt), salad and pickle. Unleavened dough stuffed with a mixture of cottage cheese served with raita, yogurt, salad, and pickle. Unleavened dough stuffed with a special mixture of spicy potatoes, onions, cottage cheese, cauliflower. Unleavened dough stuffed with spiced minced chicken. Semolina pudding with saffron, raisins, clarified butter. Beet root pudding with raisins, clarified butter. Cottage cheese balls deep fried in sugar or rose syrup. Fresh lemon, mint, ginger, sugar. Mango yogurt drink with saffron, cardamom powder. Yogurt drink with fresh mint, cilantro, ginger, and spices.